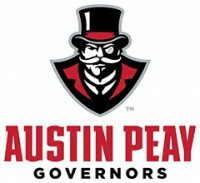 Harley Gollert | Clarksville Sports Network - Clarksville Tennessee's most trusted source for sports, including Austin Peay State University. 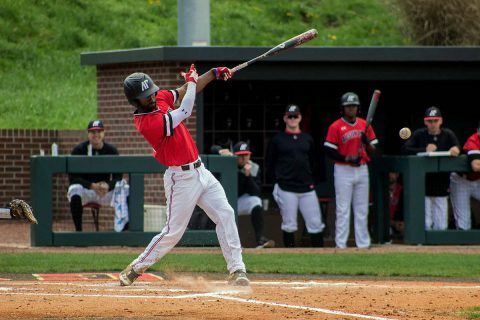 Clarksville, TN – Center fielder Garrett Spain and third baseman Malcolm Tipler each had two-run triples, but the Austin Peay State University (APSU) baseball team could not hold off Kentucky in an 8-4 season-opening loss, Friday, February 15th at Joe and Cathi Maynard Field at Raymond C. Hand Park. 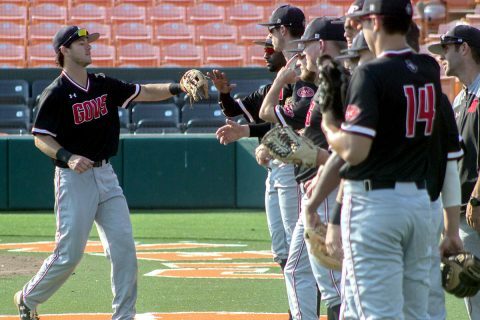 Clarksville, TN – The Austin Peay State University (APSU) baseball team opens its 80th season when it hosts Southeastern Conference foe Kentucky in a three-game series, Friday-Sunday, at Joe and Cathi Maynard Field at Raymond C. Hand Park. 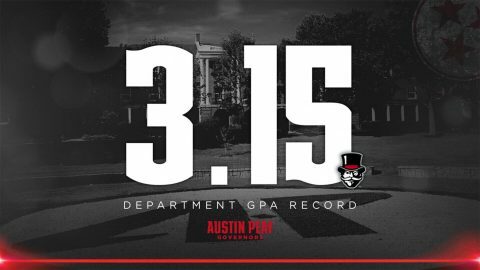 Clarksville, TN – Austin Peay State University (APSU) student-athletes set a department record with a 3.15 grade-point average for the Fall 2018 semester. For the first time, Austin Peay student-athletes have posted a department-wide GPA of 3.0 or greater in three consecutive semesters. A record 209 student-athletes received academic recognition for the Fall 2018 semester, including 107 recognized on the dean’s list. It’s the third time 100 or more student athletes have been named to the dean’s list. Clarksville, TN – With baseball and track and field putting a wrap on their respective season’s this past week, Austin Peay State University’s athletic department saw the end to a very successful 2017-18 school year. Overall, the department posted a combined win-loss record of 200-167-3 over the school year, with 10 of the 16 teams (baseball, men’s basketball, football, men’s golf, women’s basketball, women’s golf, soccer, softball, women’s tennis and volleyball) finishing with .500-or-better records. 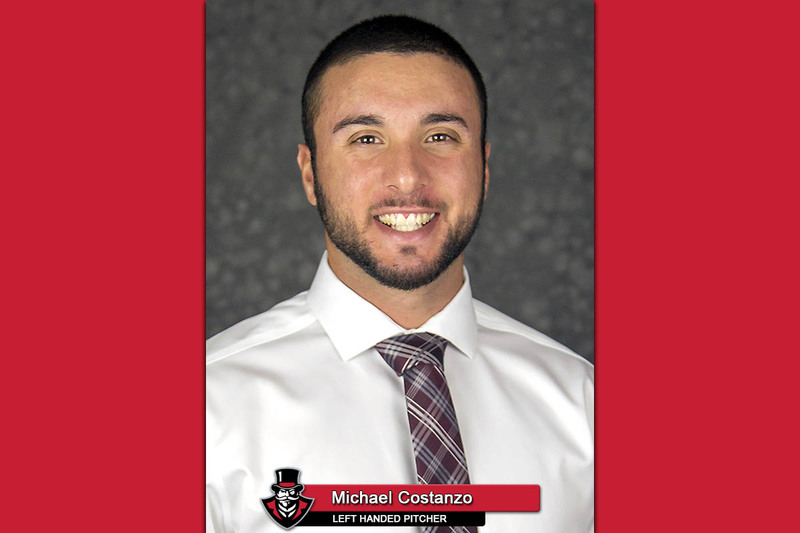 Brentwood, TN – Senior starting pitcher Michael Costanzo was named First-Team All-Ohio Valley Conference, headlining a group of five Austin Peay State University baseball players to receive postseason recognition from the league’s coaches and baseball sports information directors, Tuesday. Joining Costanzo as Second-Team All-OVC honorees were sophomore first baseman Parker Phillips, senior second baseman Garrett Giovannelli and junior starting pitcher Jacques Pucheu. 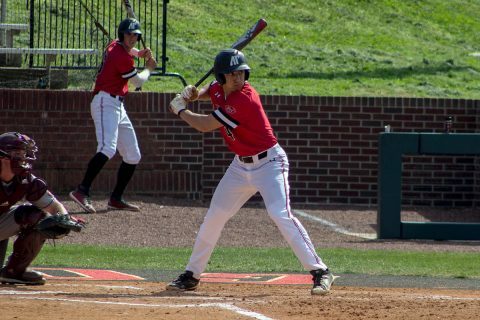 In addition, pitcher Harley Gollert was recognized on the league’s All-Freshman team. 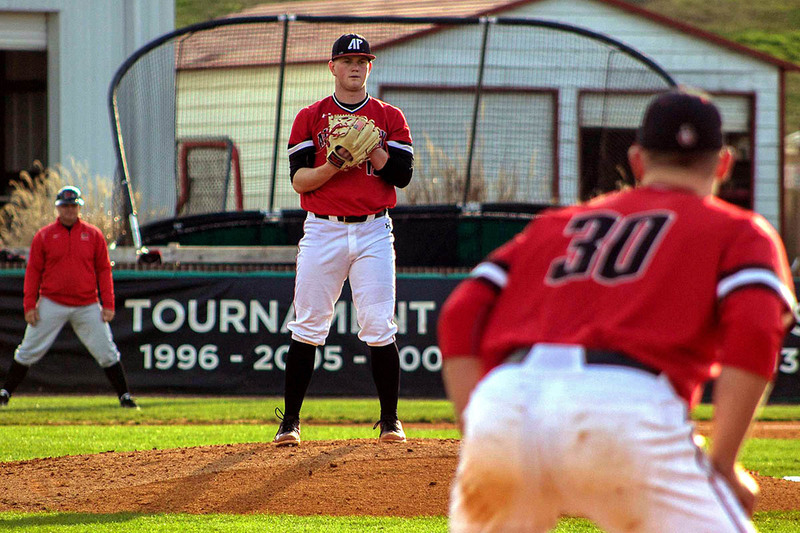 Clarksville, TN – Austin Peay State University starting pitcher Josh Rye threw six scoreless innings and four relievers followed him on the mound as APSU’s baseball team shutout Western Kentucky, 6-0, in nonconference action Tuesday at Raymond C. Hand Park. Rye (1-3) powered his way through the first five innings. After facing just 10 batters in the first three innings, he worked around doubles in the fourth and fifth to keep the shutout bid going. 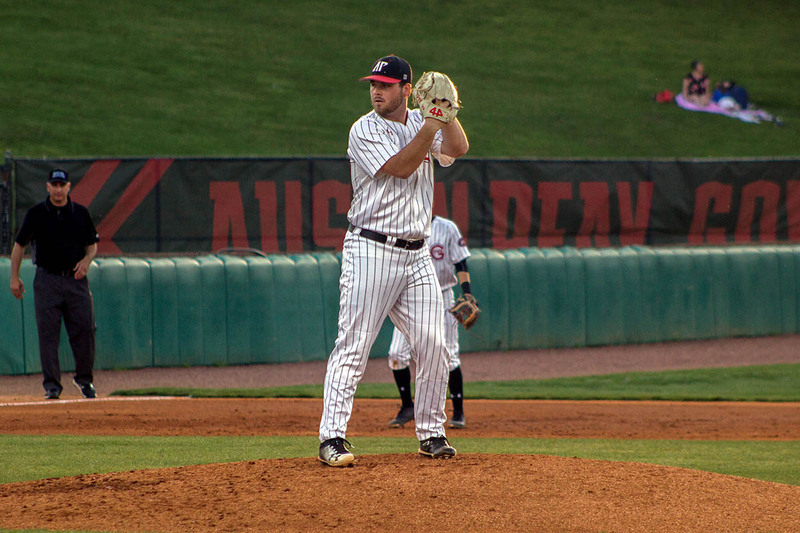 Rye faced his toughest test in the sixth when the first three batters reached safely to load the bases. Clarksville, TN – On a day Austin Peay State University’s baseball team honored one of its alumni, starter Jacques Pucheu struck out a nine batters and the offense supplied three home runs in an 8-4 Ohio Valley Conference victory against UT Martin, Saturday at Raymond C. Hand Park. 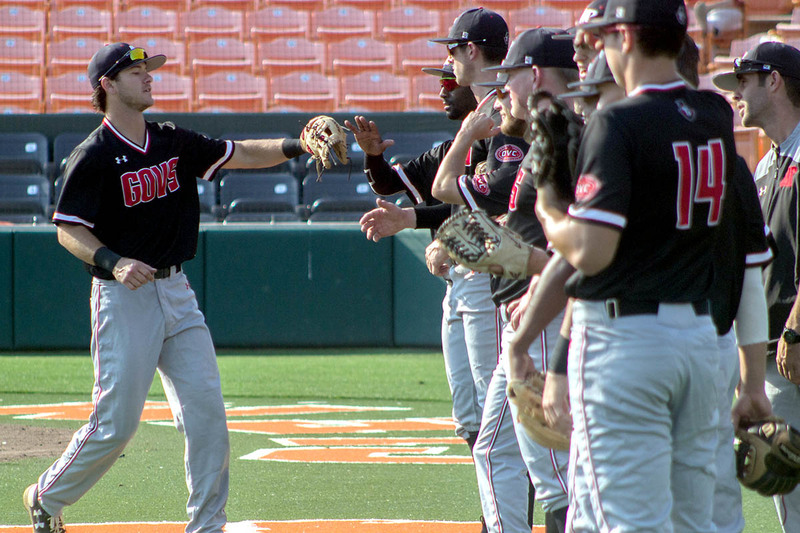 Prior to the game, Austin Peay (24-19, 14-9 OVC) recognized alumnus Stephen Huff, who threw the ceremonial first pitch to help raise awareness for lung cancer. 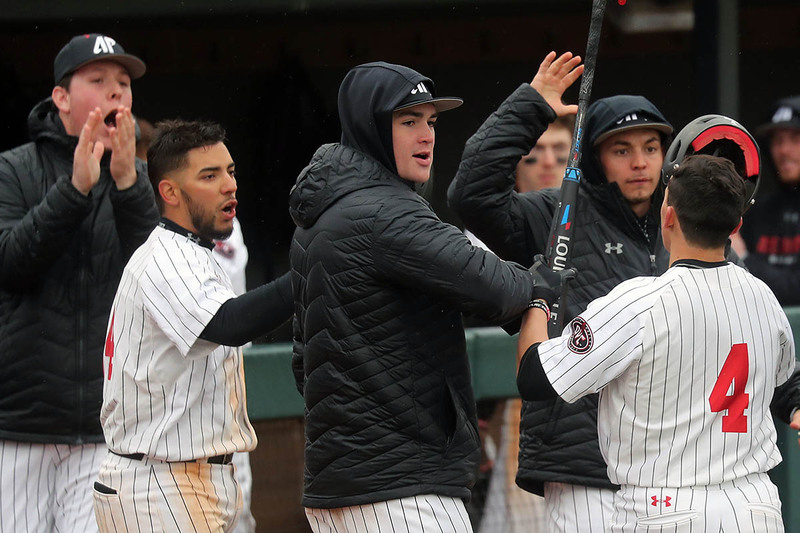 Morehead, KY – Austin Peay State University’s baseball team rallied from a four-run deficit to tie the game in the seventh inning but could not fend off a late Morehead State rally in a 7-6 Ohio Valley Conference loss, Sunday afternoon at Allen Field. Austin Peay (23-17, 13-8 OVC) trailed 6-2 entering the seventh inning as Morehead State starter Kyle Cantu entered the frame after tossing five consecutive scoreless innings. 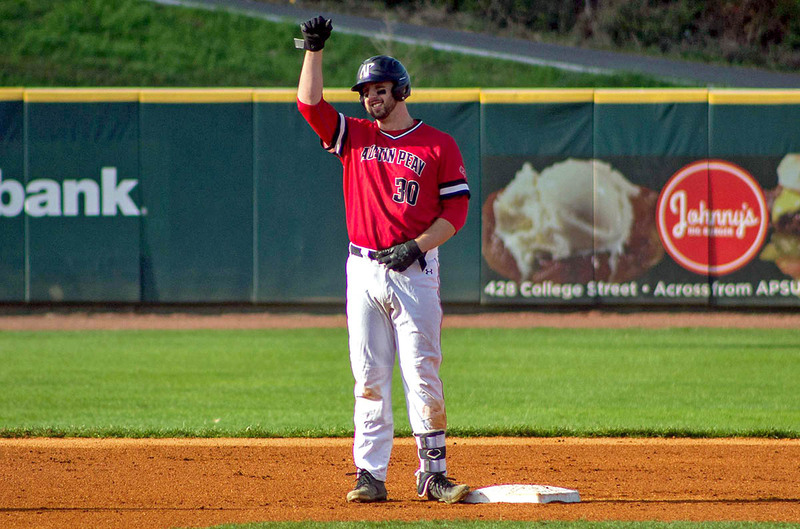 Clarksville, TN – First baseman Parker Phillips hit five home runs on the day, leading Austin Peay State University’s baseball team to a sweep of its Ohio Valley Conference doubleheader against Eastern Kentucky, 18-15 and 11-9, Friday at Raymond C. Hand Park. Phillips hit three home runs, including a first-inning grand slam, in the series opener as part of a 4-for-5, seven RBI contest.